The University of Jyväskylä is the second largest university in the Finland measured by the number of Master’s degrees conferred. The Faculty of Information Technology currently has 200 staff and nearly 2000 Master’s degree students and about 200 postgraduate students. The University of Jyväskylä has played a significant role in Finnish cultural history. Founded in 1863, the university has its origins in the first Finnish-speaking teacher training college, the so-called Teacher Seminary. The teacher seminary evolved into the College of Education in 1937, at which time it was given the authority to grant doctorate degrees. 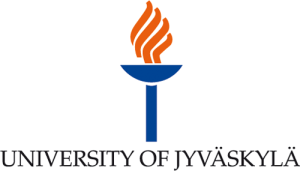 In the 1960s, the college started teaching and researching in the sciences and in 1967 was renamed the University of Jyväskylä. The university offers a wide range of study programmes for Bachelor’s or Master’s degree conducted in English, many of which are unique in Finland. Natural Sciences, Human Sciences, Sport and Health Sciences as well as Teacher Education are the university’s areas of special expertise. E-education is amongst the four mail pillars of the university’s strategy. Recently, the e-education workgroup which consists of experts from different faculties (such as education, information technology, psychology, open university) has issued a “Strategy 2015” for the field. This expresses the strong engagement and commitment of the university to e-education and related subjects from a multi-disciplinary point of view. The group “Global Information Systems” which will coordinate the project operationally is part of the Department of Computer Science and Information Systems. The main expertise is research regarding the internationalization of knowledge-intensive systems, in particular educational technologies. The workgroup has also a variety of expertise fields such as software engineering, organisational aspects of information systems, mobile systems, and educational technology. JYU performs extensive qualitative research on ELearning for different target groups such as Higher Education, SMEs and schools and also on standardization on multiple levels: Quality Management/Quality Development in ELearning , as well as Conception, Realisation, Standardisation and Evaluation in ELearning . In the econtent plus program, the workgroup has been involved in a variety of projects: COSMOS, ICOPER, Open Science Resources, ASPECT. In the first three projects, JYU was involved in roadmapping and consultation activities. Furthermore, JYU has coordinated the econtent-plus project OpenScout and the LLP project LaProf. From an administrative point of view, JYU has a strong support system regarding management, quality assurance and financial administration. A specific (university-wide) service unit (Research and Innovation Services) provides support, guidance and administrative capabilities for national and international projects. Coordination: As JYU has already coordinated a variety of EU (e-content plus, LLP) projects, these experiences will be utilized. This concerns in particular project management procedures and tools, quality management and risk management. JYU has coined the term “Open Educational Ideas” in 2012 (Pawlowski, 2012) and will thus continue this work. It is based on experiences in different research and development actions around Open Education. Jan Pawlowski – is working as Professor within the Faculty of Information Technology. This includes the research coordination of several national and European projects (e.g., ICOPER, ASPECT, COSMOS, European Quality Observatory, European Foundation for Quality Management for ELearning , Quality Initiative ELearning in Germany). He has written his Habilitation (2008) about Quality Management in Educational Institutions and the Integration of Learning and Working. He has published more than 120 publications in the field of information systems in numerous journals and conferences. His main research interests and activities are in the field of ELearning , Modelling Learning-related Processes, Procedural Models, Learning Technology Standardisation, Quality Management and Quality Assurance for Education, and Mobile / Ambient Learning. He actively involved in research organisations (AACE, GI) and in standardisation organisations (DIN, CEN, ISO/ IEC JTC1 SC36). He acts as chair of the CEN/ISSS Workshop Learning Technologies. Henri Pirkkalainen is a researcher at the Department of Computer Science and Information Systems at the University of Jyväskylä – his main research work is in the area of social software to support knowledge management, e-learning and in particular OER processes. He has coordinated the operations of the OpenScout project and is currently involved in the project teams for OpenDiscoverySpace and TELMAP where he is active as work package leader.